After over 2 years of courageous Ethiopian protests and thousands of innocent lives lost, the TPLF ruling party has thrown crumbs and meaningless promise at the Ethiopian people once again. This week, Prime Minister Hailemariam Desalegn first announced that “political prisoners” will be released. Suddenly, many naive international human rights organizations and leaders praised the regime. But just one day later, his TPLF handlers told him to reverse everything, accusing the media of “misquoting” his announcement. So, Hailemariam now completely rejects that “political prisoners” even exist in Ethiopia; therefore he claims that it is due to his party’s graciousness that “imprisoned or convicted politicians and others” will be pardoned. When have we witnessed this drama before? mobilized millions to win even populated regions of Oromia and 99% of the city votes. In response, TPLF declared state of emergency in 2005, killed hundreds of protestors and held opposition leaders as hostage. When most Western Powers denounced these barbaric acts, TPLF later freed the prisoners as a diversion tactic to portray an illusion of reform and change. However, after the prisoners release, the human rights situation in Ethiopia actually got worse and the ruling party decided to kick out even the small opposition figures in its parliament, successfully becoming a one-party tyranny like its Derg predecessor. Will the same tactic work for TPLF again? 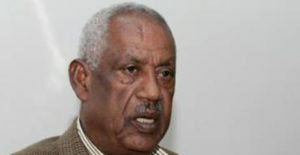 Ten years later, the TPLF seems to be using the same tactic to save its sinking ship. The problem is that Ethiopia is too big and too diverse to be ruled with an iron fist forever. After 2005, even after TPLF destroyed the legal opposition; diverse members of its own coalition had began to crack. Having fed narrow tribal propaganda of Oromo nationalism (OPDO) and Amhara nationalism (ANDM) for two decades as a tool to undermine cosmopolitan Ethiopian nationalists, the TPLF finally got a taste of its own medicine since 2015. Land and power disputes took ethnic dimensions and sparked regional protests that the ruling party has yet to recover from. The turning point of these isolated protests was when mostly Amara Gondar protestors (some armed with weapons and too close to TPLF’s hometown) began to strategically coordinate with Oromo protestors who suffocated the commercial routes of the center with their bravery and unflinching determination. Such Oromo-Amara alliance was recently fueled by their desperation to spread or nationalize their isolated movements, as well as inspired by Ethiopian nationalists like Teddy Afro, whose album in 2017 was featured in every major international media and quickly became an anthem for Ethiopians worldwide. Suddenly, even Oromo diaspora activists like Jawar Mohammed began to preach Ethiopian unity and virtually abandon divisive hot topics like tribalization of Addis Ababa and defamation of our patriotic ancestors. Jawar even defended Teddy Afro against government censorship as the #Oromara alliance grew. This yearlong unity of Ethiopian protestors has cornered the TPLF ruling party and made several pockets of the nation completely ungovernable. The regime’s divide and rule policy has faltered. And there is no sign that the new protests will end anytime soon. Unlike the systematic suppression of the urban opposition after the 2005 election, the TPLF will not be able to stop the current rural protests. For example, during the aftermath of that election, Meles Zenawi accelerated his program of the “One-to-five” network of spies around Addis Ababa. Since then, more Tigrayans have also migrated to the urban and many have become informers in every block of the cities, especially Addis Ababa. Ironically, the same destructive “ethnic-federalism” structure that has made the country ripe for ethnic conflicts is also the same structure that might end up killing TPLF and its spy program. The ongoing protests have now proven that TPLF is unable to keep its important 1-to-5 spy program in the rural without the full support of OPDO and ANDM. Particularly in rural Oromia, once the program collapses, it is nearly impossible to restore this “one-to-five” structure without OPDO, due to language barriers and the shear size of the state. Also, unlike the millions of Amharas and southerners living inside Oromia towns, Tigrayans are almost nonexistent in much of the rural state. Therefore, OPDO or any Oromo opposition movement (if it has courageous leadership) will be more capable of defying the TPLF authority in the coming years. If the TPLF regime thinks it can throw crumbs and easily satisfy the protestors, it will be hugely mistaken. Therefore, addressing only the symptoms of the tyranny by tackling minor corruption cases and releasing prisoners will not be enough. Ethiopia needs a permenant systematic change by fixing its undemocratic institutions at the judiciary, civil service, federal agencies and particularly the military which lacks independence from the TPLF. So far, the TPLF ruling party seems to be uninterested in genuine reform and it might even attempt to slide back to its brutal military solution. It is upto the protest movements to force the regime and there are three more methods. First, the Oromo and Amara protests must somehow take their movement to the center of Addis Ababa and that requires further de-ethnicization of their end goal and rhetoric. Secondly, the “Oromara” protests must be more disciplined and avoid attacking any Tigrayan businesses and civilians. Thirdly, the Oromo and Amara protests must reach out to other ethnic groups, particularly the Somalis, whose Liyu Police gang have become TPLF’s new lifeline. This third step requires not only political leadership among Oromo and Somali diaspora communities but also discipline back home to stop ethnic clashes or revenge killings that have led to massive displacement of civilians along the Oromia-Somali borders. All these three strategies are vital to put more pressure on TPLF and set up a foundation for a transition to democracy.